Since catching his first venomous snake when he was three, Dr David Williams has twice won the lottery of life while tangling with two of the world’s deadliest reptiles. So far, he’s survived bites from both the Papuan and Australian coastal taipans. The head of the University of Melbourne’s Australian Venom Research Unit, and now chair of the World Health Organization’s (WHO) Snakebite Envenoming Working Group, Dr Williams hopes to win a lottery of a different kind – funding to continue his life-saving antivenom research in Papua New Guinea. 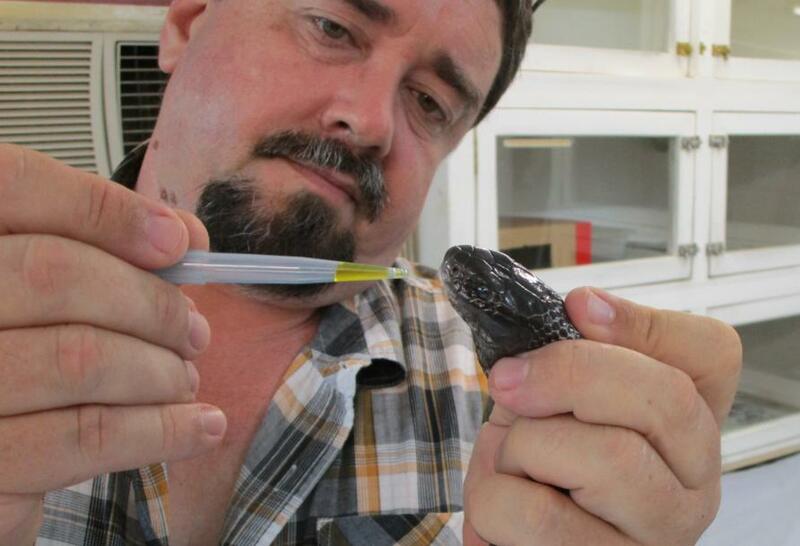 Dr Williams’ fascination for snakes began as a child in a tiny New South Wales town of Quirindi, south of Tamworth. It was here that he brought brown, black and tiger snakes home to show his horrified parents. Dr Williams managed to avoid snakebite as a child, which is just as well, given that in later life he became allergic to both snake venom and antivenom. In the 35 years he has worked with venomous snakes he has been bitten six times, most recently in 2007 by a deadly Papuan Taipan while filming an episode of the ABC’s Foreign Correspondent. After releasing the snake from a bag, the taipan lunged for the reporter before Dr Williams intervened and was bitten three times on the thigh. The film crew rushed him to hospital, where he was given antivenom. “I woke up the next morning looking like Mike Tyson had taken me out and given me a hiding,” Dr Williams says. It took more than three months for him to fully recover. These are the perils of working to help save others from venomous creatures. But this unassuming researcher would not have it any other way. He firmly believes applied research and engagement is essential to help solve problems affecting marginalised and impoverished communities. On one of his first visits to PNG in 1996 Dr Williams saw four people die of snakebite in a week. These tragedies, one involving a young mother of four who had only recently given birth, galvanised his desire to help tackle Papua New Guinea’s snakebite crisis. 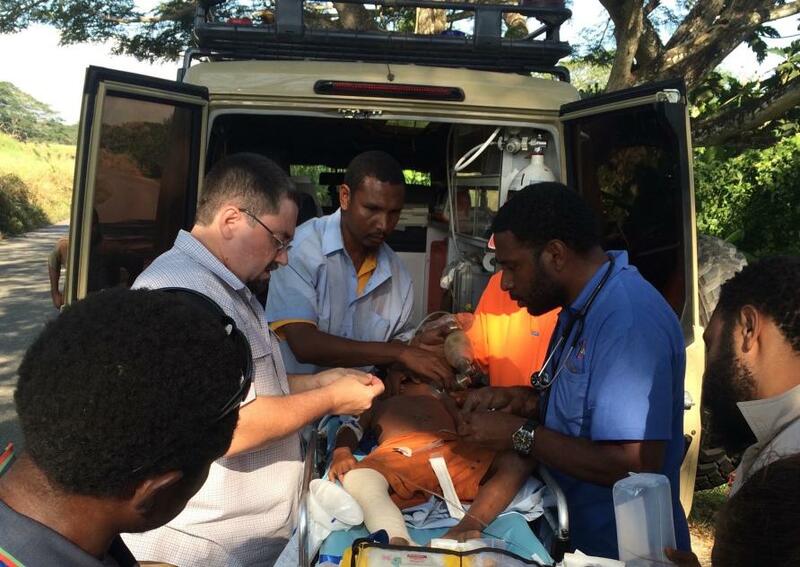 He has worked with local doctors and nurses to establish PNG’s first dedicated snakebite treatment clinic at Port Moresby General Hospital, set up a national reference collection of live venomous snakes and a snakebite research laboratory at the University of Papua New Guinea. 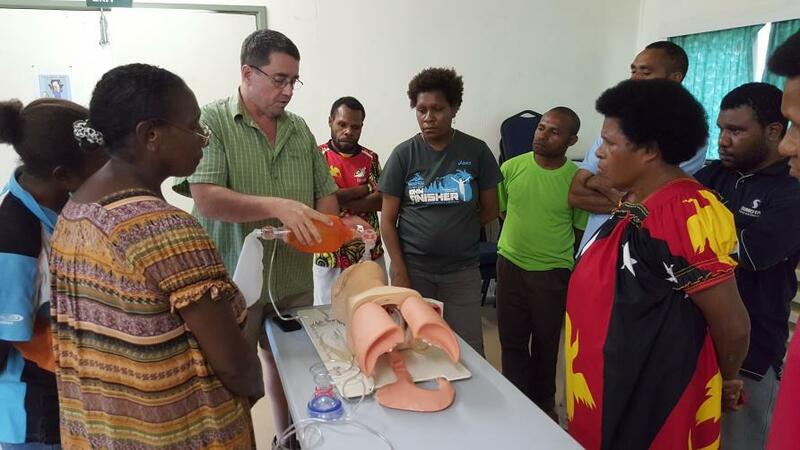 Dr Williams’ team has also trained hundreds of local health care workers in snakebite diagnosis and treatment, launched an intensive care ambulance service for critically ill snakebite victims, and caught hundreds of Papuan taipans from which venom is extracted for antivenom research and production. Co-ordinated under the Charles Campbell Toxinology Centre, named after Australian Dr Charles Campbell who worked at Port Moresby General Hospital treating snakebites in the 1950s and 60s, these activities are a collaborative partnership between the hospital, the University of Melbourne and the University of Papua New Guinea. In 2012, the centre began a AU$1.4 million research project, funded by Australia’s National Health and Medical Research Council, to develop a new Papuan taipan antivenom with the Instituto Clodomiro Picado in Costa Rica. The resulting study, due to be published soon, found that the new treatment, which costs AU$150 a vial, is as effective as the existing AU$2000 antivenom, which is always in short supply. Up to 450 victims now present to the centre each year, up from 80-90 when it opened six years ago. 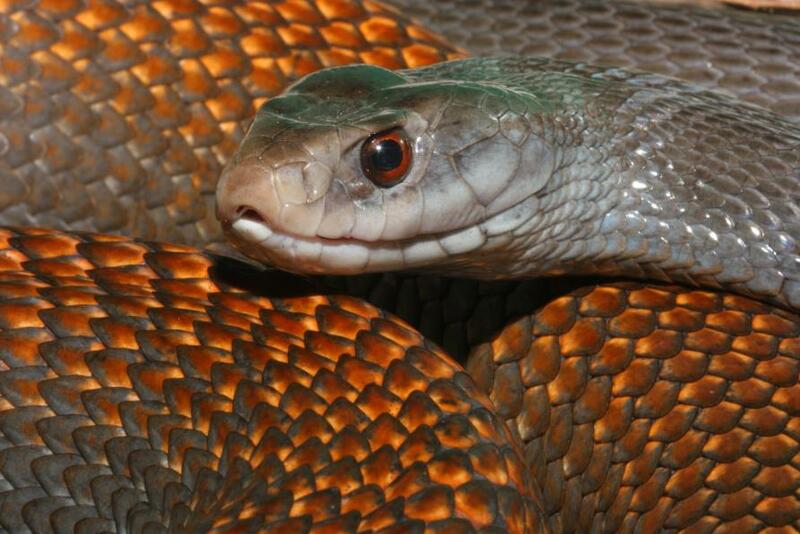 Ninety per cent of people presenting have been bitten by the Papuan taipan and, remarkably, fatality rates have fallen from an average of 15 per cent to less than two per cent. 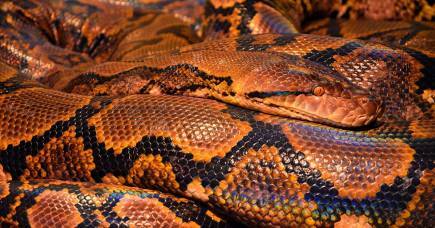 The antivenom trial is finished and the new antivenom is ready to go into commercial production, but lack of funding for the snakebite project itself is pushing the roll out date further back. 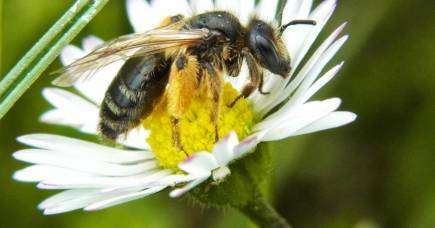 The project needs up to AU$450,000 annually to effectively continue its treatment and research programs, but this has become progressively harder to secure. “Our work saves lives every day, and we could achieve so much more if we had the resources, but funding snakebite work outside Australia is increasingly difficult” Dr Williams says. Since 2012 Dr Williams has also championed the cause of snakebite victims as CEO of the Global Snakebite Initiative, a collective of venom experts who have advocated for international action to tackle the problem. In PNG, the figure is upwards of 200 deaths, with an estimated 780 additional cases left unreported. Globally, between 81,000 and 138,000 people are killed by snakebite every year. Those that do survive the bite face the prospect of permanent disability, with more than 400,000 people each year left with lifelong reminders of their near-fatal encounters. The advocacy efforts of Dr Williams and his colleagues around the world were rewarded in June 2017 by the WHO’s decision to reinstate snakebite to the highest priority list of Neglected Tropical Diseases (NTD). The WHO hopes that establishing snakebite envenoming as an NTD and focusing resources to develop a global strategy for reduction and control will help to promote better treatment for the estimated five million people bitten by venomous snakes around the world each year. Dr Williams was recently appointed to chair the WHO’s Snakebite Envenoming Working Group which will focus on improving antivenom effectiveness and access, medical training, as well as health systems and infrastructure. “The idea is to produce a comprehensive plan that WHO and countries can use to tackle the problem around the world,” Dr Williams says. “By the end of this year we will have a road map, and if a strong enough case can be made, hopefully the vital resources needed to implement it will follow. “Our part in this is to be the voice for the millions of people worldwide who for decades have been voiceless. It’s very exciting to see that what we have been trying to push for a number of years is finally building momentum.